I needed a vacuum by-pass servo which I figured would be impossible to find new, 72GTVA hooked me up with this thread for a part for my a/c system and low and behold they had the vacuum servo, may be pricey but I needed one. I pulled the one on my '71 apart and the article was a big help. The company also sells repair kits for various Ford combination/proportioning valves. I pulled the one on my '71 apart, and though it wasn't exactly the same as the one pictured, the article was a big help. 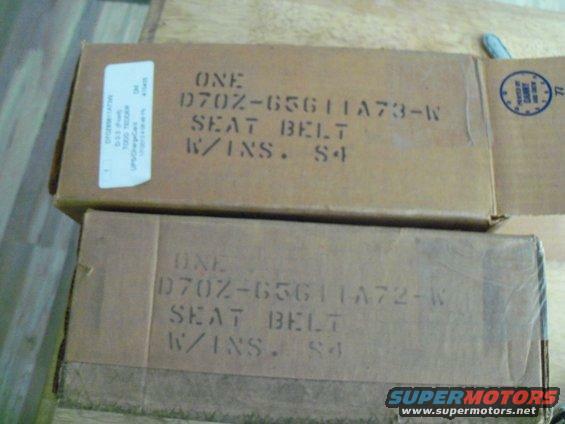 I (as well as other members here) have been looking for replacement seat belt assemblies for quite a while, couldn't find any locally, even looked into re-webbing my assemblies but the cost was pretty high @ over $400 for both assemblies with a 6-8 week lead time. 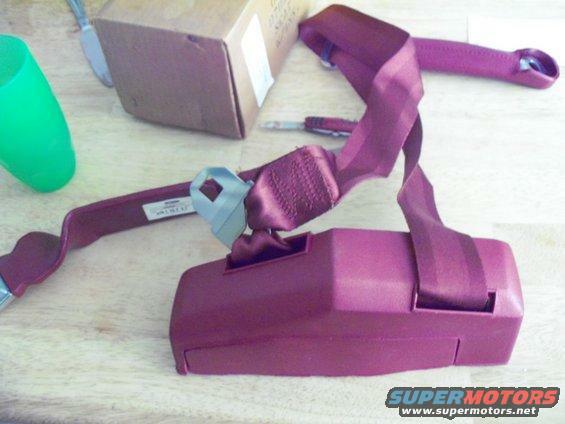 I finally found some NOS units at greensalescompany.com that were the right style and color. I bought both sets and had them shipped to me for $205, half the cost and to my door in 3 days as compared to having the originals restored. 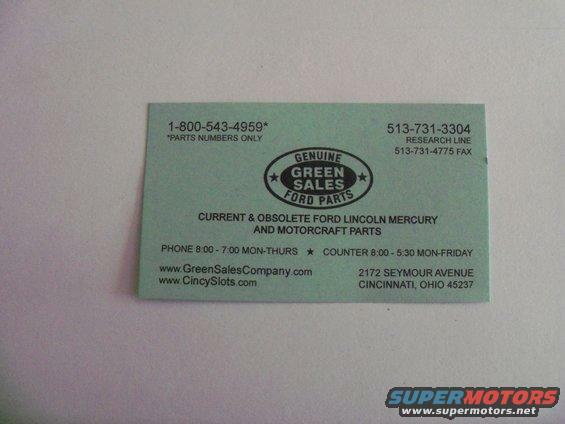 I highly recommend the folks at Green sales. Heres a few pics. Give these guys a call, they may just have what you have been searching high & low for. I added this for Todd. Great find!!! Good source for timing covers and exhaust manifolds. Don't list prices on line but well worth the call ! !